I’ve made delicious danishes from scratch twice now, and they were a huge hit. The cheese danishes are especially good. You could also use half cheese and half fruit for the filling. Although you could use store bought puff pastry, you’ll be pleasantly surprised by how easy it is to make your own puff pastry using the shortcut in this recipe. If you take the time to make a large batch of puff pastry, you can freeze it for future uses. 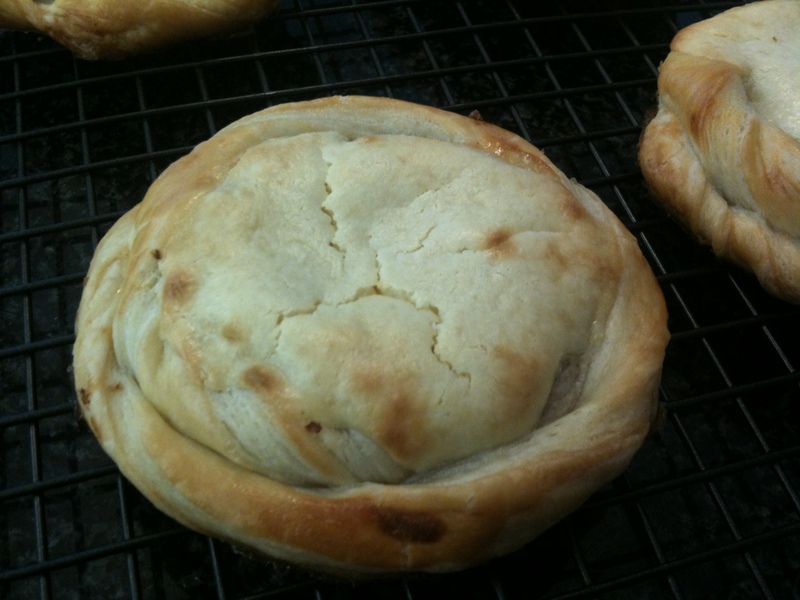 In the past, I often used store bought, frozen puff pastry for special occasions and parties. Although I had been planning to attempt making puff pastry from scratch for years, I put it off, because the process requires many steps and resting times. So imagine how excited I was when I found a time-saving technique for puff pastry in The Modern Baker. 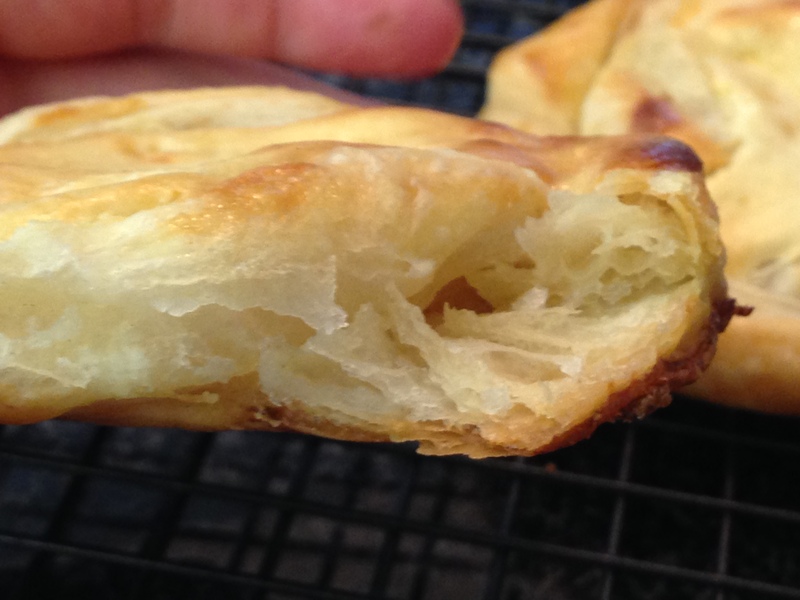 Not only is this puff pastry easy and relatively quick to make, it is freezer friendly, too. So you can make several batches in half a day, freeze them, and have your own instant puff pastry for future uses. This puff pastry bakes up beautifully flaky, buttery, and crisp. I’ll probably never use store-bought puff pastry again. When I used this dough to make cheese danishes, my dad said that they were better than the ones that he buys from a bakery. I’ve also used this successfully for savoury tarts (see recipes here and here) and beef wellington. Here are a few other recipes that use puff pastry: Hong Kong egg tarts (see recipe here), apple turnovers (see recipe here), chicken or turkey pot pie (see recipe here), and vol au vents. Chinese (Cantonese) egg tarts are subtly sweet snacks/desserts that consist of a egg custard filling (notpudding-y) that is baked in pastry shells that are either flaky puff pastry or soft, shortcrust pastry. 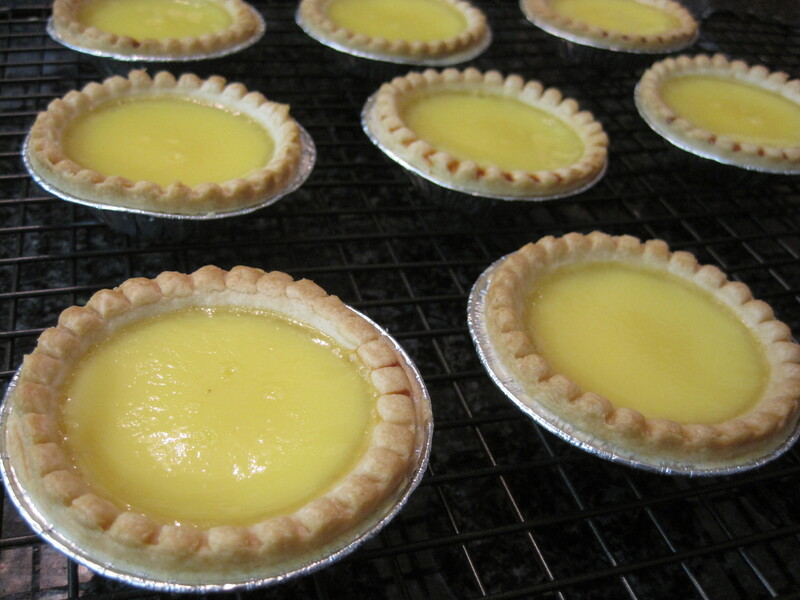 Eventually, I will make the pastry from scratch, but for now, the store bought puff pastry tart shells work beautifully and make these egg tarts one of the quickest and easiest desserts to put together. My family thought that these were even better than the ones that we buy from Chinese bakeries. Now that I know how easy they are to make, I’ll never buy them again. I love this lemon dessert. As you can probably tell from the picture below, I over baked my tart a little bit, and it was still delicious. I made it for Thanksgiving last year and it was the perfect finish to a hearty prime rib dinner. When I was making the tart crust, I was doubtful of the recipe, because it was more crumbly and dry than any other crust I’d ever made, but it turned out beautifully crispy! 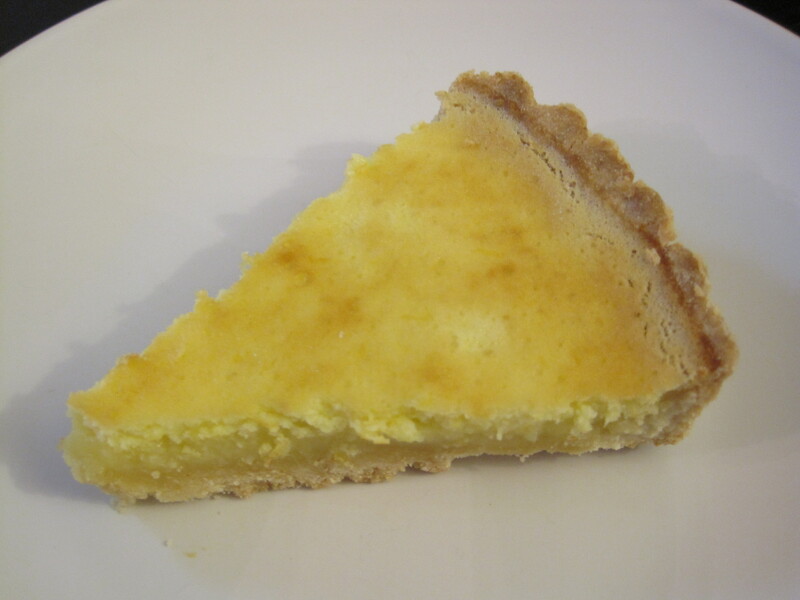 The crispy crust is the perfect compliment to the tart filling. I love that the filling is so fresh and natural tasting; it’s not too tart and it’s not too sweet. This is simple to make and elegant enough to serve for a special occasion. Note that although the crust only stays crispy for the first day, it’s still very good the next day. In fact, my mom loved the crust and she didn’t try it until the second day. The word she used was “success” in Chinese. Ed and I were craving apple pie really badly late one night, and I happened to have fresh apples and frozen puff pastry on hand, so I made apple turnovers. 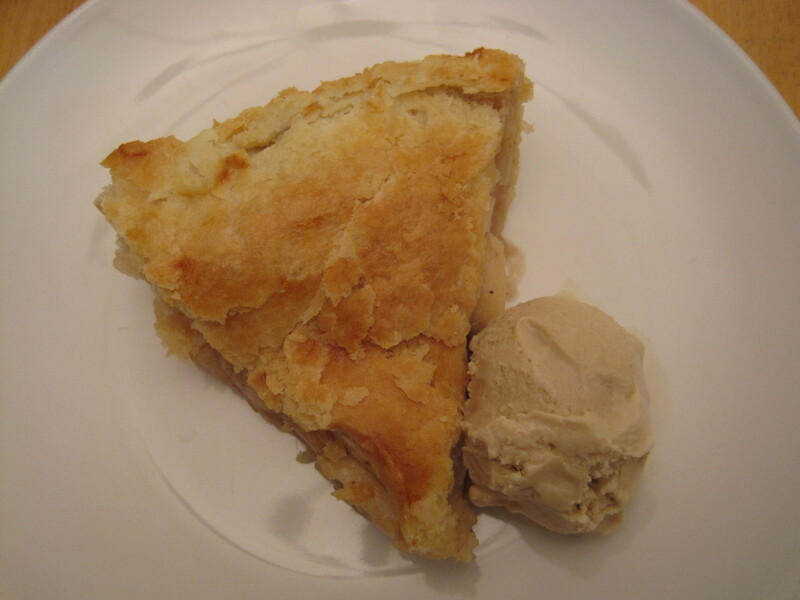 (See my apple pie recipe here.) These were quick and easy to make and tasted much better than store bought turnovers. We Loved them; anything else would have been a disappointment in comparison. They were so good that Ed ate four large turnovers that night. I wasn’t much better… stopping after three of them. 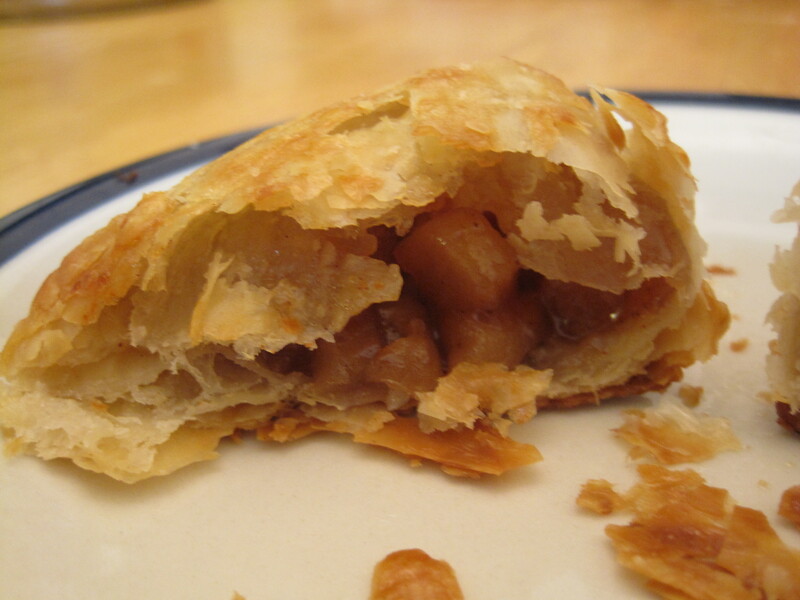 These are by far our new favourite apple turnovers. They freeze beautifully, if you can resist from eating them all right away, that is. Butter tarts are a wonderful Canadian dessert. (Speaking of wonderful Canadian things, have you tried ice cider?) 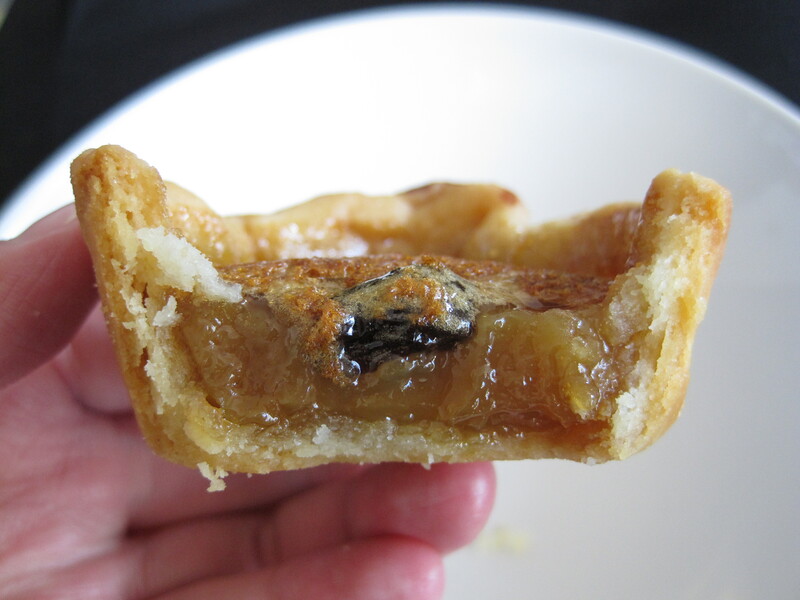 Butter tarts are individually portion sized tarts that have a flaky pastry shell and a sweet and gooey filling. 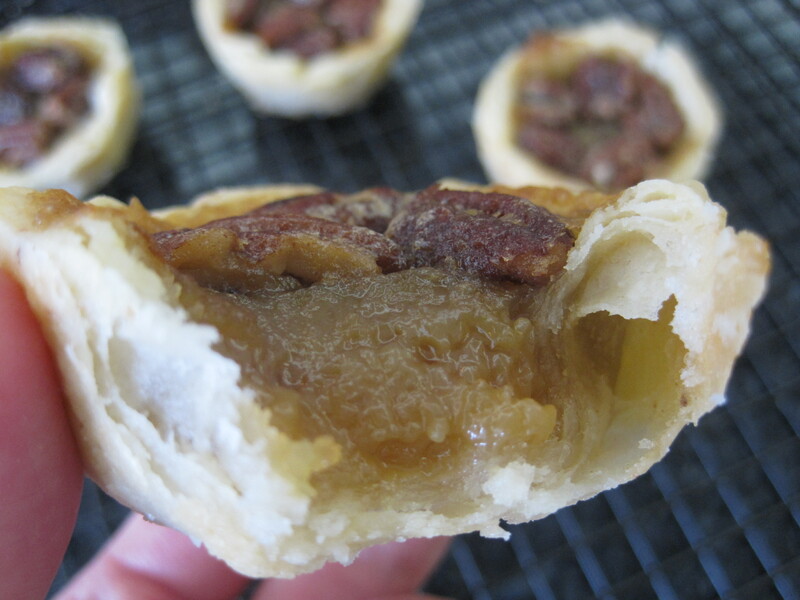 If desired, the filling can include raisins or pecans. I made both variations in the photo above. 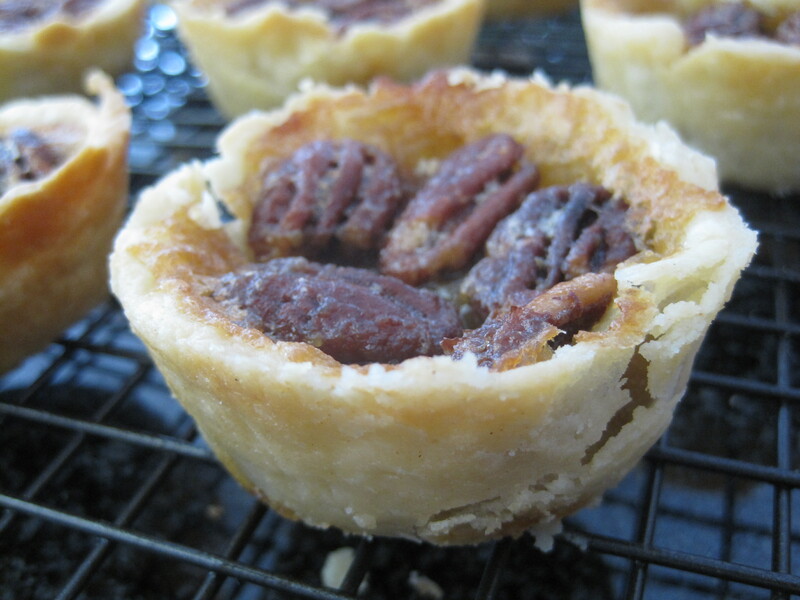 If you like pecan pie (see my recipe here), you’ll probably like butter pecan tarts. Personally, I prefer the tarts. 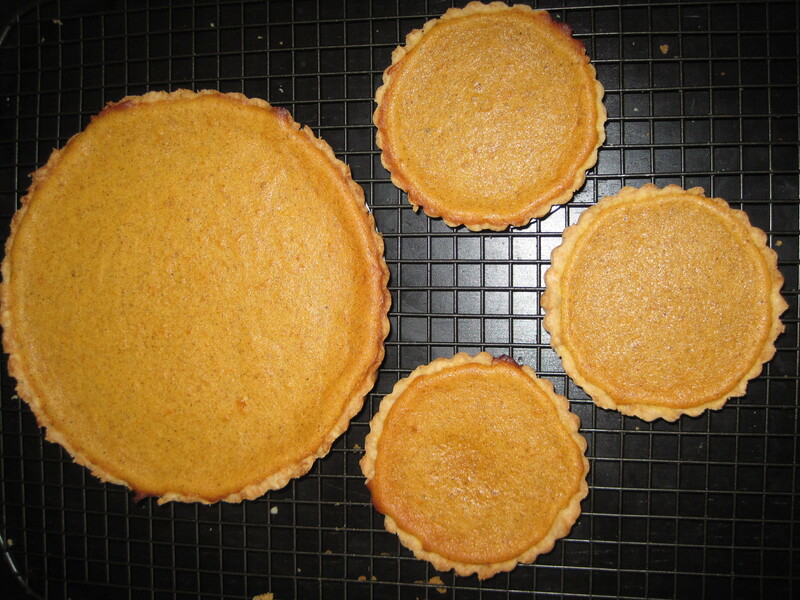 I made these butter tarts for the first time over Thanksgiving, 2011. We were amazed by how good the pastry was. 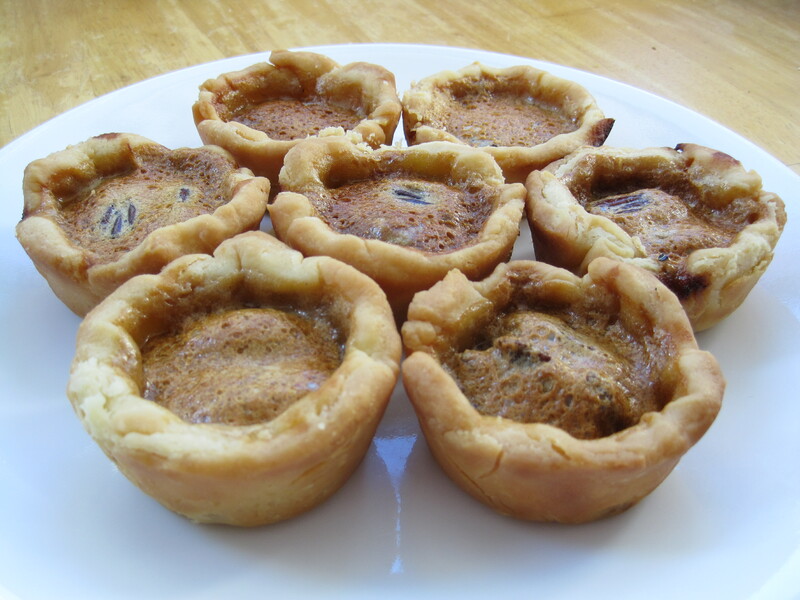 This was the best, buttery and flaky pastry I have ever made and these were the best butter tarts we had ever had. Although they can be a bit messy to eat, this pastry is the perfect compliment for this type and size of tart. The filling is soft and gooey, you won’t get crystallized sugar, and it doesn’t drip. Ed and I went strawberry picking this summer so I was able to try a few new recipes. I made strawberry swiss meringue buttercream, two types of strawberry cupcakes, and frozen strawberry pies (one 8″ tart and 12 miniature ones). 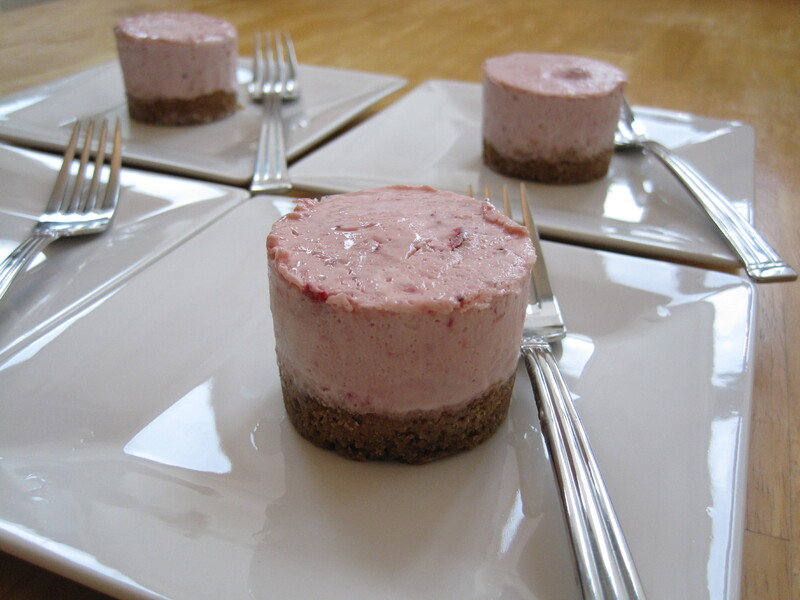 I also highly recommend this no-bake strawberry torte that could easily be made into a delicious trifle. Of all of the strawberry desserts that I made this summer, this frozen strawberry pie was my favourite. It received great reviews from everyone that tried it. It’s perfect for any summer event and can easily be made ahead of time for entertaining or surprise guests. I learned this great tip from Martha Stewart’s Everyday Food magazine. Unfortunately, it only works on tart pans with a removable bottom. This single [simple] move will allow you to: 1. easily and safely remove a hot, baked tart from its pan; 2. cool your tart faster; and 3. prevent the crust from being over baked. Simply turn a flat bottomed, heatproof bowl upside down and set the tart pan on the bottom (now pointing upwards) of that bowl. 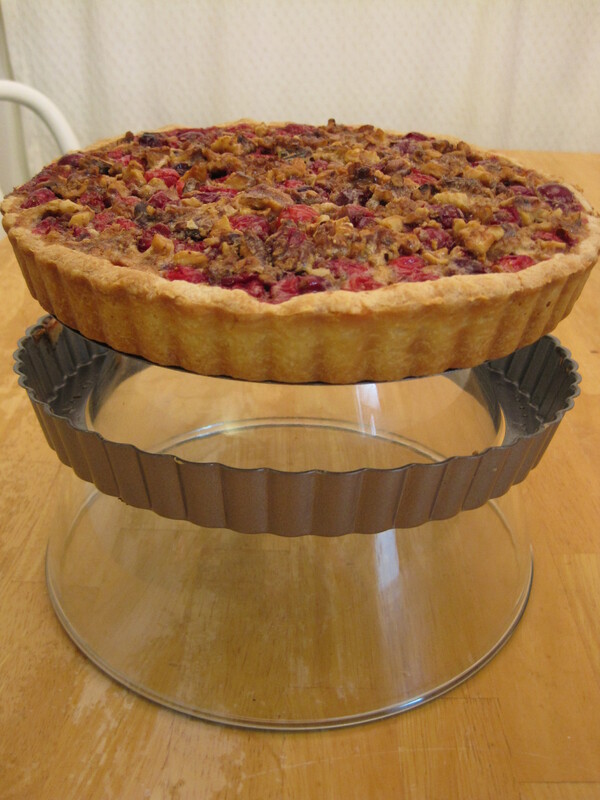 See the photo below of my cranberry walnut tart cooling. Apple pie is one of my favourite desserts, but since even most store bought and restaurant apple pies disappoint me, I spared myself the time and money that would surely be wasted on testing homemade apple pie recipes. 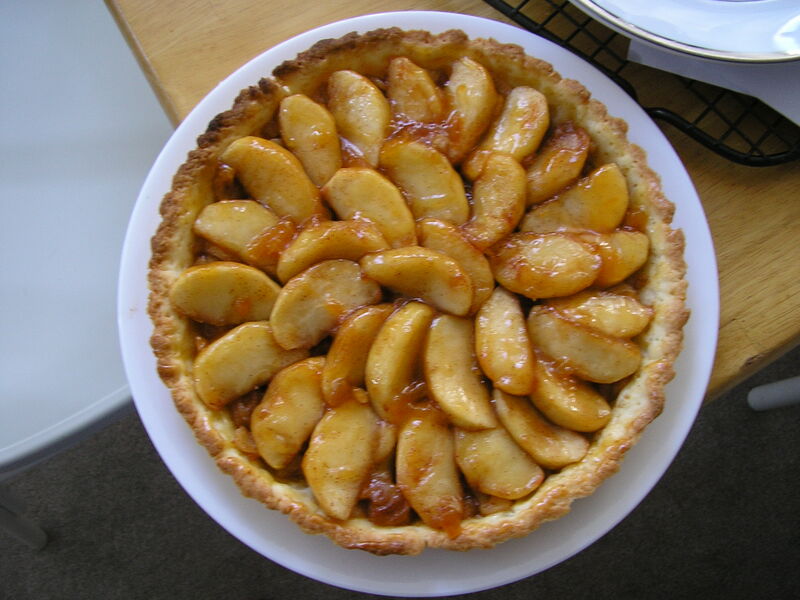 I’ve always settled for making apple crisps and tarts (recipe here) instead. But when Bob Blumer won third place in a pie baking contest after never having made a pie before, I knew that his recipe would be well worth the effort. (Check out his Food Network show, Glutton for Punishment.) I made this for Christmas and everyone loved it. Even my dad, who doesn’t like pie, asked for seconds. Bob Blumer suggests using bacon fat in the pie crust. I was so excited about this fantastic use for bacon, but I substituted it for butter since I was making a healthy meal for my family. I will update this post when I make it again properly (I can’t wait!). I love using bacon in interesting ways and I plan on making bacon cupcakes and chocolate covered bacon some day. See my bacon jam recipe here – it’s Delicious! The only combination that I don’t like is bacon mints. Thanksgiving 2008, Ed’s parents came to visit me so I made them a big lunch. For dessert, I made them a French Apple Tart and they couldn’t stop complimenting me on my dessert. At that time, my desserts RARELY received compliments, haha, so I knew this recipe was a keeper. I like it because it’s light, not too sweet, and beautiful. It’s very easy to make, but there are several steps with waiting times so it’s not a quick recipe.